I came across the "Face to Face with..." nonfiction series a couple of weeks ago in Barnes & Noble and loved it! 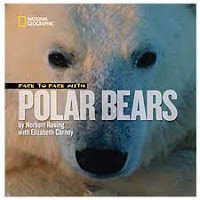 One of my favorites in the series is Face to Face with Polar Bears by Norbert Rosing and Elizabeth Carney. Within this series, there are books on grizzly bears, whales, dolphins, wolves, elephants, lions, ... and the list goes on! I love how the books are written with both narrative and expository structures to create a hybrid of the two structures. The books begin with national geographic experts observing the animal in their habitat and they make you feel like you are exploring right there with them. Throughout the book, they teach you all about how the animal lives, eats, hunts, survives, etc. 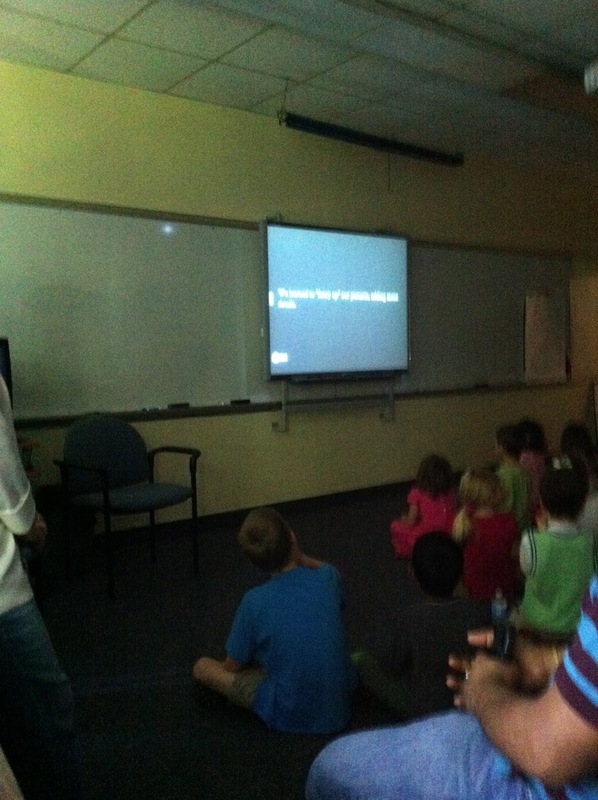 In addition, they explain how the animal may be endangered and how people can help. The photographs in the books are amazing, along with the embedded facts in sidebars, bulleted lists, and in the back of the book. There is no doubt that this series will become a favorite in my classroom this year! One of my former students recommended that I read The Fault in Our Stars by John Green this summer. She raved about it and even brought her copy to me this summer so I could read it. I heard great reviews about this book since it was published, but kept putting off reading it for a couple reasons. First, it is not a book appropriate for my 5th graders so I tend not to rush to read books that I can't put in the hands of my students. So those books, even though they are great, usually get put on hold. Second, my grandfather and one of my best friends died of cancer so I have to be emotionally prepared to read books like The Fault in Our Stars. This weekend, I read the book with tears streaming down my face throughout the whole last part of the book. I am so glad that my former student kept persisting that I read this book and make the time to read it - thank you Allie! If you have been like me and you keep putting it off because it isn't appropriate for your grade level, I highly encourage you to move it to the top of your stack and make the time to read it! This is a powerful book for young adults and adults to read - just make sure you have tissues nearby! Jen Vincent and Kellee Moye co-host It's Monday! What Are You Reading weekly on their blogs. Some of my best book recommendations come from seeing what others are reading each week. 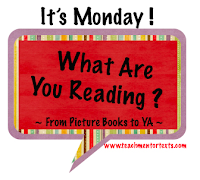 To see what others are recommending or to participate, be sure to check out their blogs Teach Mentor Texts and Unleashing Readers on Mondays. While I haven't been writing much on Mondays this summer, I have been reading. However, a lot of my reading has been related to the curriculum I have been writing this summer. Last week, I was able to find time to spend at our library and the book store so I enjoyed some picture books. 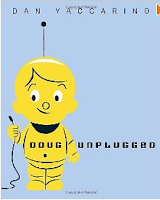 Doug Unplugged by Dan Yaccarino is a book that I will be buying for our kindergarten classes. Doug is a robot who learns about his world from information downloads. When he disobeys parental orders, he unplugs and he flies all over the city, investigating various parts and places and making friends in the park. Since our curriculum involves learning about communities, I love the content, but I also enjoyed the message about becoming present and learning about our world by actually experiencing it. I have been paying attention to unusual and unexpected how-to books so How To Bicycle to the Moon to Plant Sunflowers by Moricai Gerstein caught my eye at the library. While classroom teachers could definitely use this book to teach some of the elements of procedural writing, they could also use this book to inspire creative thinking and ingenuity. Ben Rides On by Matt Davies, has been a book that I have been looking forward to reading. Social curriculum is so important for children and this is a book that could inspire conversations about doing the right thing, how to handle disappointment and anger, and the importance of forgiveness. 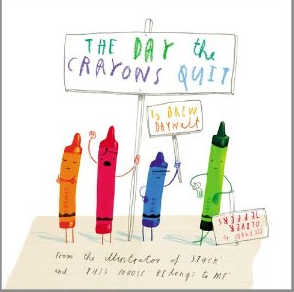 One other favorite picture book of the week was The Day the Crayons Quit by Drew Daywait. 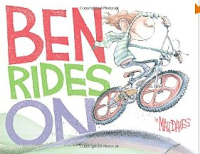 What an amazing mentor text for teaching young elementary students voice in persuasive writing! All of the crayons have issues with how Duncan is overusing or underusing them. Children will love thinking from the perspective of the crayons, but they will also be exposed to powerful techniques in relaying messages and opinions. I am slowly working my way through And the Mountains Echoed by Khalid Hosseini and if anyone is looking for a beautifully written adult read, I recommend it. I'm also looking forward to re-reading Animal Dreams by Barbara Kingsolver, since it is on my daughter's summer reading list and is one of my all-time favorite books. I love Drums, Girls, and Dangerous Pie by Jordan Sonnenblick and for about the past 4-5 years, I have read it aloud to my fifth graders as our first chapter book read aloud. Each year, I change up some of my read alouds, but this book is one I keep going to as one of my first read alouds of the year. In 2011, After Ever After came out, which is the sequel to Drums, Girls, and Dangerous Pie. For some reason, I kept putting it off and didn't read it until this weekend. I do NOT know why I waited because it is such a good book! Usually I'm not a huge fan of sequels to books or movies because they sometimes are not as good as the first and are a disappointment. However, this is completely not the case with this book. 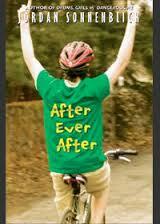 If you have read and loved Drums, Girls, and Dangerous Pie, then you will love After Ever After! This sequel is told from Jeffrey's perspective and he is now in eighth grade, just like Steven was in Drums, Girls, and Dangerous Pie. Now Jeffrey's cancer is in remission and he is dealing with all the typical issues eighth graders find themselves dealing with at that age, but has to deal with them without Steven since he is in Africa at the time. Jeffrey, just like Steven, finds himself having a crush on a girl for the first time and is also struggling with math. On top of all of this, Jeffrey has to cope with the fact that his best friend, Tad, also has cancer and unfortunately has not hit the five year mark for remission. They have a very strong bond as friends, help each other in many ways, and understand one another. 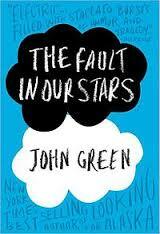 This sequel is full of social issues and will tug at your heartstrings so have a box of tissues nearby as you read it! Last August, I started a new position. Still working in our district, I moved from being a special education teacher to our district's Writing and Social Studies Coordinator. My new position involves not only managing the curriculum, but also coaching teachers. I have been thinking about what I have learned, what I wish I had known, and what I want to improve. About the adult change process. Even though we studied it and talked about it, classroom conversations do not have the same learning power as real world experience. Just as it is with students, the following adage is true with teachers: tell me and I forget, show me and I will remember, involve me and I will understand. I have tried to plan and improve my ability to involve teachers in planning for the changes that are so important in education at this time. I still have been caught trying to implement changes too quickly, and that definitely causes the forward momentum to slow WAY down. How important it is to think about all of the ramifications of what might initially seem like a small change or decision. I think that the decision we made to change units around in the second grade curriculum calendar was a perfect example of how when you think that you have thought of everything, you haven’t. I have tried since then to be more thorough about my thought processes, making sure to move more slowly when I am feeling like I should be hurrying. One of my professors had said that whenever he felt rushed, he slowed down--important words to live by across many domains, I would say. How many i’s and t’s there are to dot and cross when implementing a seemingly small change and how many questions will come up when they are not. Aren't ripples powerful? To read and re-read and think and re-think about all of the communications that I have with teachers. How busy are teachers at a given point? Will they have time to read and internalize? Will they understand? Is there a history that I should find about first? I am working to always here that inner voice asking me “how will this help teachers?” whenever I am thinking about sending anything. About coaching cycles and best strategies for developing trust and openness from teachers so that I can help to make a difference in the learning experiences for students. Almost everything takes longer than you think it will. Relationships are the most important aspect of coaching. Not everyone will ever be happy. The more that you do, the more there is to do. Knowing, being able to state, and remaining true to what you believe is necessary in order to maintain focus. There would be times of loneliness as a not-quite administrator and not-quite teacher. There would be daily questions that I would not be able to answer. Continue to learn about the SBAC as it continues to develop and share that information with teachers through professional development, strategic conversations, meetings, and coaching. Develop and strengthen the communication and collaboration throughout our district. The line that Michael Fullan quotes from Jack Welch, “if only my company knew what my company knows” resonates with me. We have such stellar practices happening in our classrooms that should be celebrated, shared and copied. Inspire teachers to use technology throughout their instruction and to develop global connections wherever possible. Inspire a sense of purpose for the students in our district. I believe so strongly that students (no- all people) will surpass expectations when they believe in their work and feel that their work matters. I am incredibly grateful to my virtual friends out there. Thank you to all of you who have encouraged me with comments and tweets that have made me feel that my work has mattered this year. I hope that I have been half as inspirational to some of you as many of you have been to me. 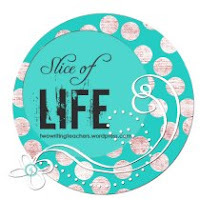 I have missed the last couple of Tuesdays for slicing but am happy to join Ruth and Stacey who host Slice of Life Tuesdays on their blog, Twowritingteachers.wordpress.com. Feel free to join this community by either sharing your own posts or commenting on some of the others. We were in school late so late this year that some of the writing celebrations are still fresh in my mind. As the district's writing coordinator, some of my favorite slices of life are attending the celebrations of student learning. described the year of kindergarten writing. Many of our kindergarten teachers created videos, powerpoints, photostories, or prezis about the year of writing in their classrooms. What a powerful way to show young children and their parents how far they have come and the rationale for writing workshop! I know that many parents struggle with the concept of not correcting the strings of consonants that appear in early writing. However, to all watch the year-long evolution of a class of kindergarten writers is so powerful! It's really amazing to see the development of writing and illustrating that happens. After one of the presentations that I watched, parents had the opportunity to circulate in the classroom and listen to children read their writing pieces. This sharing occurred at tables and parents were wonderful about paying attention to the writing and honoring the work that children had done. I loved that this seemed more like a task of sharing and responding to writing than a task of paying attention to so many pieces of work in a row--it's hard to give full attention to twenty consecutive young readers! By watching their writing improve the children develop a growth mindset. Thinking about where we were then to where we are now is difficult for most adults, let alone six year-olds. However, when they saw the year-long evolution over the course of ten to fifteen minutes, almost all the children could say how far they've come as writers. Parents learn about writing workshop. Most parents did not learn to write in a workshop environment and probably don't remember much about their own primary writing instruction. The more opportunities that we can have to teach and involve parents in their children's writing loves, the better for their children. And, as parents, don't we all want to hear about the growth our children are making? I loved how these presentations support the partnerships that we want between schools and parents. Reading their work out loud in front of an audience would be hard for most kindergarteners, even at the end of the year. Pre-recording them reading, or just having photographs of their work eliminates this pressure and makes the celebration go much more smoothly and predictably. Teachers reflect on their year, re-living the units that they taught and examining the work that students produced. Keeping portfolios of students' writing is general practice in our district but making a presentation of their work definitely makes teachers study those portfolios in June. At some point, I'd love to talk to these teachers about their own reflections about the sequencing of our units and the teaching points that live within them. One of my favorite phrases about writing is "living life twice" and I credit Alan Wright. When I know that I will be writing about something, I am more present in that scene, reflect more about it, and learn more from it. I can imagine that if a teacher knew from the start of the school year that s/he would give an end of the year presentation about the evolution of the writers in the classroom to parents, s/he would live the writing workshop twice. I'd love to hear about celebrations, especially if teachers of older grades have ever done this sort of a presentation for their students at the end of the year. I try not to post about books that won't be published for awhile, but Duke by Kirby Larson is so good that I couldn't wait to talk about it! Duke will be published on August 27th so mark your calendars! 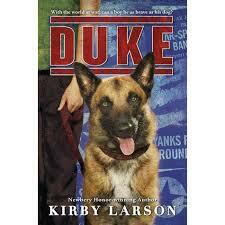 I love all of Kirby Larson's books so I was so excited to get my hands on an ARC of her latest book, Duke. The book is set in the WWII time period and Hobie Hanson's father is overseas fighting in the war. Everyone is trying to pitch in and do whatever they can to help during the war, even loaning their treasured pet dogs to help in the war. When Hobie hears about this, he immediately does not want to send his German Shepard, Duke, to help in the war. However, he begins to have a different mindset when he begins to learn how the dogs can help bring home his dad and others fighting in the war safe sooner. Will Hobie regret his decision? Will Hobie's father and Duke come home safe? Once you start this book, you will not be able to put it down! I will definitely either read this book aloud during our historical fiction unit or buy multiple copies of it for book clubs. Not only, is it a great historical fiction book, but it also is filled with friendship issues that eleven year olds face at school and in their neighborhoods. So mark your calendars for August 27th and enjoy this read!! 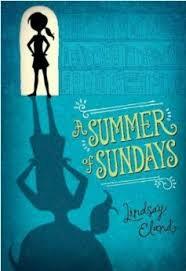 A Summer of Sundays by Lindsay Eland comes out this week on July 9th! In this book, Sunday Fowler is the middle child of six children and feels that she gets lost in the shuffle and everyone mixes her up with her siblings and even calls her by their names sometimes. She decides that this is going to be the summer that she will stand out from everyone else and will do something amazing to finally get noticed. Her family is renovating a town library during the summer and Sunday is helping out when she discovers a secret metal box one day in the basement. Inside, she finds papers that tell a story...and she decides she is going to find out who wrote the letters and the mystery manuscript. While she sets off to read the story and uncover the mystery of who wrote it, she befriends an older man who the neighborhood kids fear and a boy her age, named Jude. Together, she and Jude, uncover some hidden secrets, that others hoped to keep hidden forever, while trying to identify the famous author who wrote this secret novel. This book is full of friendships, mystery, suspense, and surprises! Enjoy! At the end of each year, I pause to reflect on my big take-aways as a teacher and learner as well as have my students reflect on their year. Each year, I ask my students to write down their "Top Five Take-aways" from the year (click here to read my post from last year). When I attend conferences and workshops, I tend to walk away thinking about my "Big Take-aways" so I have my students use a similar reflection strategy. Throughout the year, I continuously ask my students to reflect on their learning after each unit of study so they are not surprised when I ask them to participate in an end-of-year reflection. Reflection is a critical and necessary component of the learning process and I firmly believe that without reflection, we would not have learning. "This helped me keep all of my work organized and it was SO much easier than a flash drive." "I learned how to work as a group on Google Drive and it was helpful to get feedback and comments from Ms. Swider and our partners." "This helped me so that I always had something to write about. I used to always get stuck having nothing to write about, but having a writer's backpack helped me get out of that." "This helped me to be more open to new ideas and made me realize that I can improve and sometimes change is for the better." "I liked color-coding because it helped me remember important parts and see my thoughts clearly." "Using arrows helped me push my thinking more." "I have grown a lot as a reader this year. I learned many new strategies that help me push my thinking. I recently went back and looked through my readers notebooks. There is a HUGE difference in my responses from the beginning of the year to now. Everything that I do in my readers notebook has gotten stronger and more organized." "In fifth grade, we did more groups and clubs so we had to be responsible because we had to do work in a certain time frame." "We learned how to work as a team. Teamwork is very important because it's a life lesson that we all need to learn." "We learned good teamwork skills when we had to work together with some people we don't normally work with or talk to. It taught us to get along with other people because you will have to in life." "Reading was awesome this year. It was so great because all the books and almost every weekend Ms. Swider would get at least 3 new books. To be honest this was the year that got me started with reading." "In this classroom, I had the chance to read so many new books and had so many choices! Ms. Swider loves books and she taught us how to give book recommendations." "Ms. Swider purchased books that everyone enjoyed and always bought more and more books, and even read about 4-5 books every weekend!! We all enjoyed having her do this for us and it was a privilege." I'd love to hear about other ways you had your students reflect on their year of learning in your classroom or how you reflect at the end of each year.